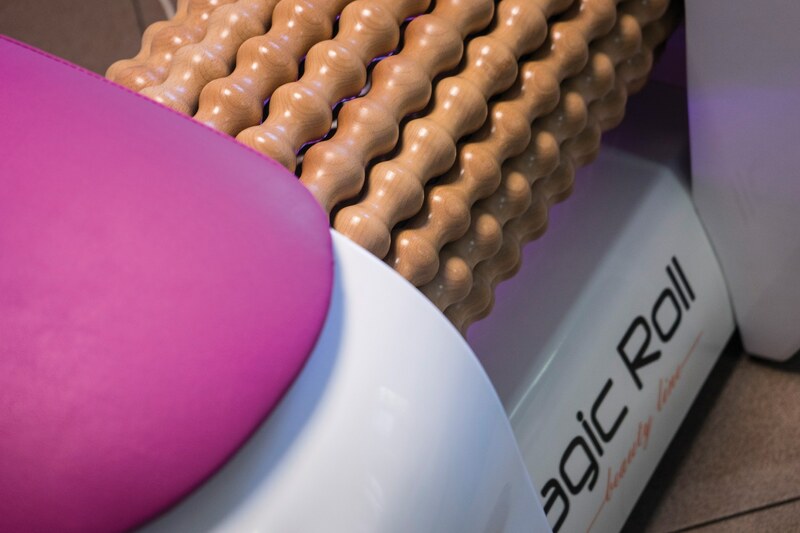 Rotating drum is reducing cellulite and causes excessive burn of the stored fat trough a massage. 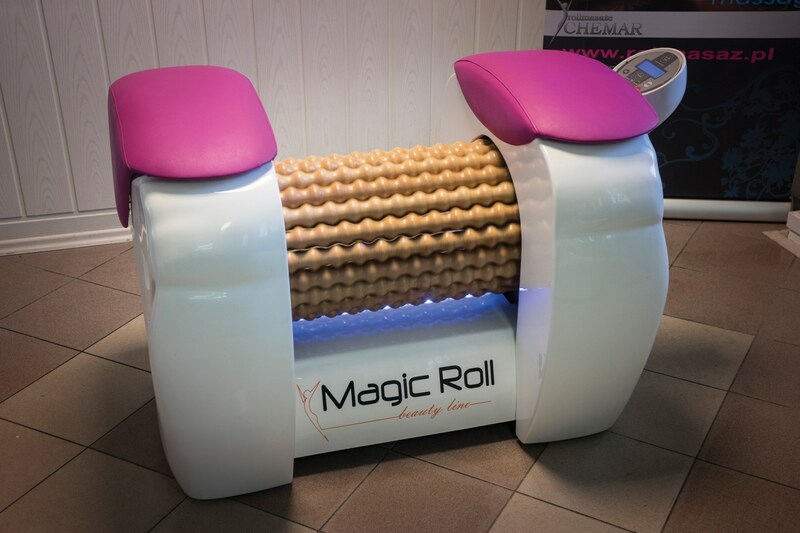 It is possible to stimulate different parts of the body during massage by chhosing the appropriate position. 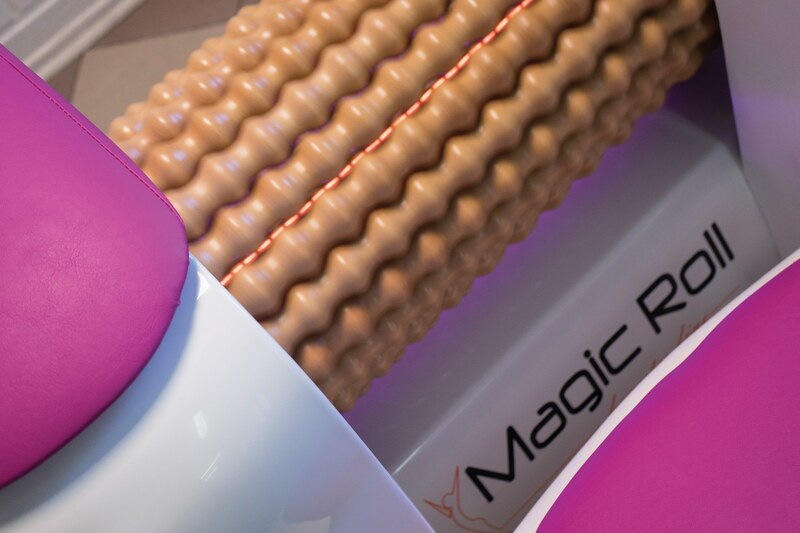 Roll Magic Beauty LINE is equipped with a collagen lamp that helps to achieve better results. 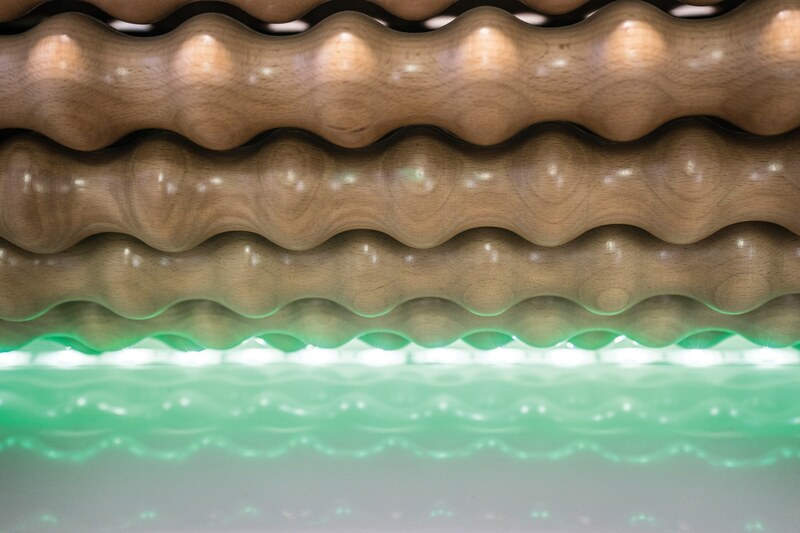 In this type of lamp we used the appropriate wavelength and the right dose of light to rejuvenate the skin, warm up the body and maximize burned callories. Photocells placed under the drum ensure protection. Thanks to them its motor stops immediately making the device the safest on the market. 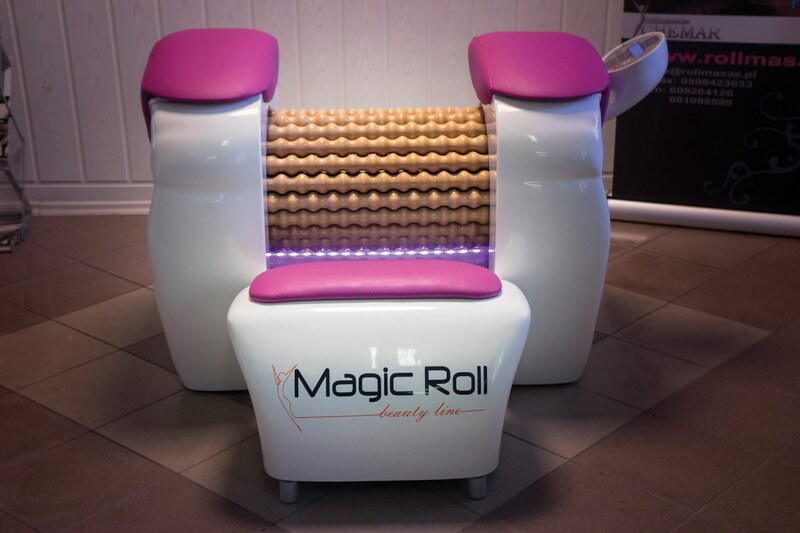 Roll Magic has an additional lamp for chromotherapy. 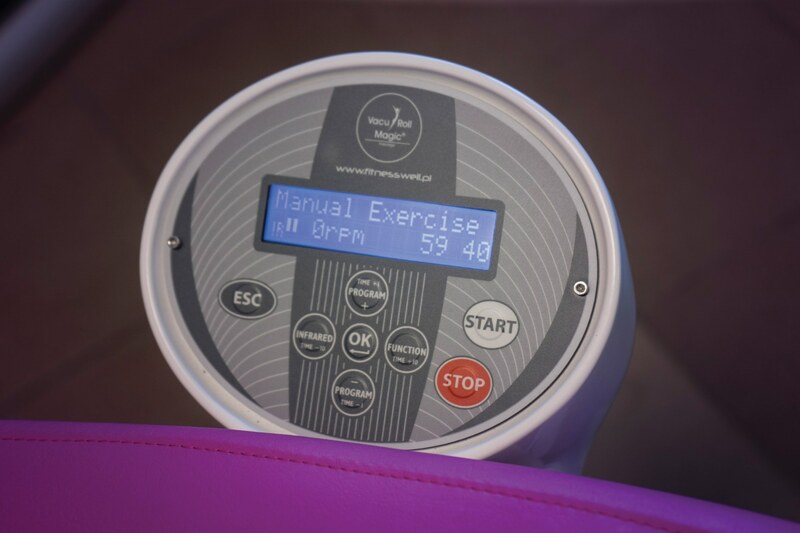 Built-in programs and manual mode will allow everyone to choose the appropriate form of exercise. 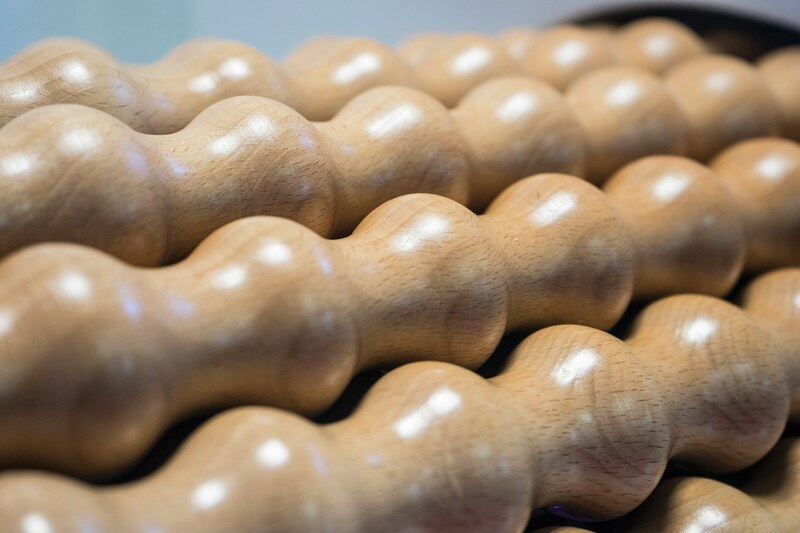 Housing is made of laminate and upholstered elements and like the rest of the equipment in our range, custom colors can be picked from a RAL palette. Chromotherapy (color teraphy) helps in reducing the problems faced by every human body. 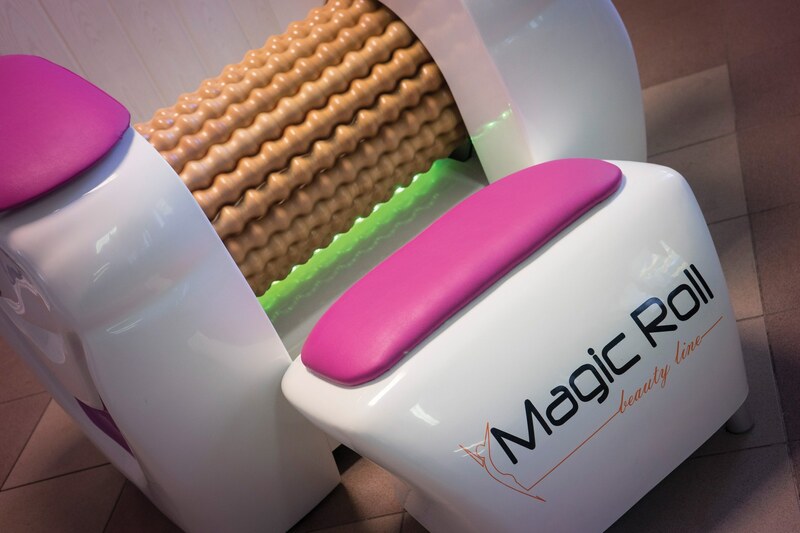 Involves interaction of color absorbed by the human energy field of the body, skin and eyes.